When people think of Google, they think of them as the number one most used search engine. It is used billions of times a day and is still on the increase. If not, you will think possibly of Google Chrome, a new internet browser that is becoming a strong competitor to Windows’ Explorer, Mozilla’s Firefox and Apple’s Safari. It’s faster and easier to use than all of them. If you don’t think of that, you may be thinking of Android: their mobile operating system which is currently installed on millions of phones and tablets around the world. Google are everywhere, literally. Yet, what would you say makes Google the most money? Well, guessing that this article is on a pay per click site, your right in saying it’s AdWords. AdWords counts up to around 95% of Google’s Revenue! It’s crazy how one program can be so successful for a business of this scale. AdWords, launching in October 2000, had only 350 advertisers signed up at the start. Nowadays, it’s in the hundreds of millions. 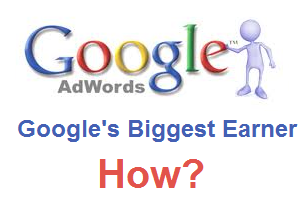 How did Google make such a success of AdWords? Back in 2000, many people were not online. The internet was just starting to pick up. The pay per click we know of today never had the popularity it did back in them days. This is why Google hit became big. They created the basis of what was to be the best way to advertise online: through pay per click. Every competitor that joins nowadays has a lot of catching to get up to the same basis AdWords is currently at. The headstart Google made for themselves has paid off. I cannot see them getting out done by any other PPC service. 2002 – AdWords introduces cost per click adverts. 2005 – AdWords introduces better site targeting. 2007 – AdWords introduces partnership with salesforce.com combining their CRM applications with AdWords. 2011 – AdWords gives $100 million into advertising to help jump start the economy. 2011 – AdWords introduces free phone support. 2011 – AdWords introduces AdWords Express – a faster and simpler way for small businesses to start advertising online in under five minutes. I have highlighted the ‘introduces’ and ‘gives’ because it shows the amount of effort and money Google have put into AdWords over the years. You can be sure this will carry on because as long as the money is rolling in, the effort Google puts into AdWords will stay up to this high level. I cannot name a product or service by Google that has been a complete disaster (if you can think of one, comment below this article). I might be wrong, but from my point of view, everything has been quite a success for them. This high reputation Google has definately helped in giving AdWords a continuous boost. Take Apple for example. Many people want an iPad, an iPhone or a Mac because its Apple. It’s got the ‘Apple-factor’. If they weren’t Apple, the demand would not be near as high. The same applies for AdWords and Google. Google is a reliable and safe name which you can rely on. Publishers trust Google will pay them and advertisers trust Google with their details. It’s all about trust and the brand Google has it. From a PPC advertiser’s point of view, expect very exciting things from Google in the year of 2012. They have already made three quite big improvements to AdWords and I can guarantee they have more to come. The fact they are always not just one step, but a few steps ahead of the competition makes them the most safest, easiest to use and best PPC service on the internet. Share your comment 1 responseTO Why AdWords is So Successful For Google. Google wave flopped liken a nasty pancake. Google+ hasn’t taken much traction though it grew quite fast by instantly adding it to everyones gmail and youtube accounts. If you compare the ENGATEMENT across facebook and G+ you’ll find that facebook continues to hold the lions share of users social media attention span. They aren’t too good at platforms (think how they could open their API’s and take a good chunk of Amazons web services). But overall I think you’re right in saying that google does a good job at putting relivant ads in front of interested markets, and as such has disrupted the “Above the line” advertising status quo.